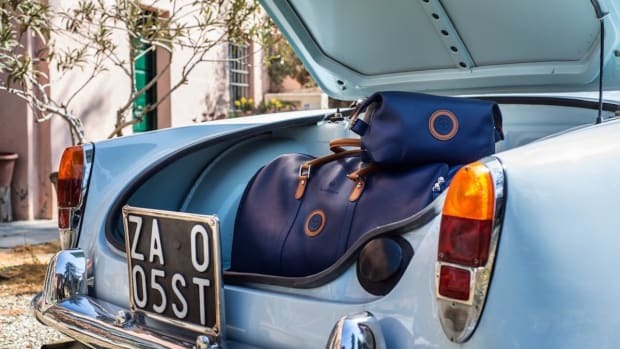 Fans of both preppy style and the go-go '80s will be familiar with the banker bag, a small navy blue canvas duffles emblazoned with investment bank logos on their webbed cotton straps. 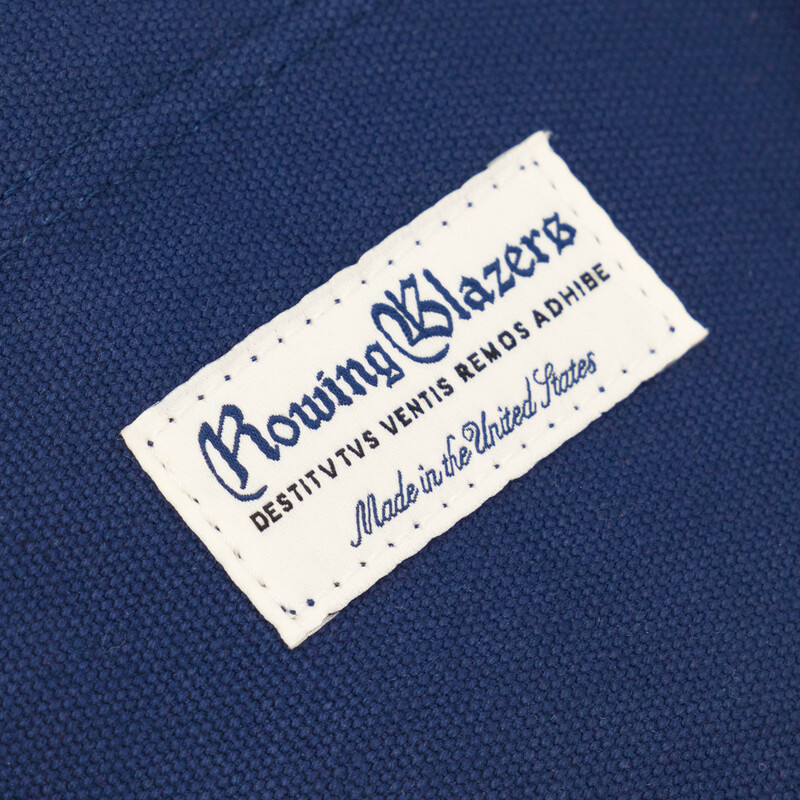 Now Rowing Blazers, the cool NYC brand founded by author, archaeologist, and U.S. national team rower Jack Carlson, and, his girlfriend, national champion oarswoman Keziah Beall, is bringing it back. "For some, it’s a badge of honor," Carlson notes. "For others, it’s a token of unearned privilege. 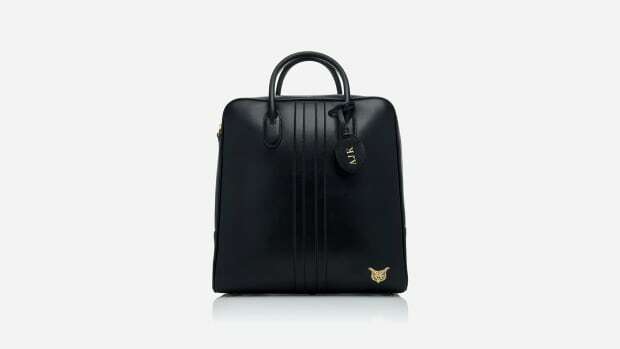 But whether you’ve protested Wall Street bailouts or just passed your Series 7 [securities exam], we can all agree that these little bags are so square that they’re hip. More than that, they’re the perfect size; deceptively simple; convenient and well-built." 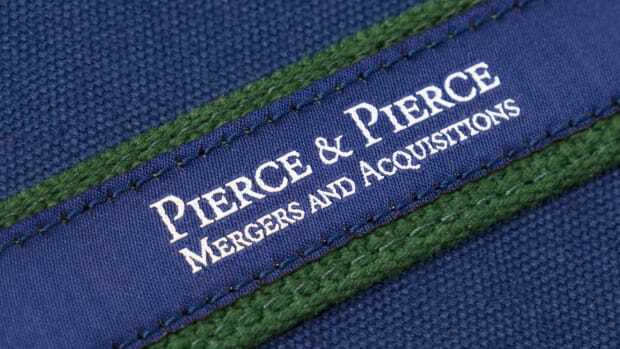 In keeping with Carlson and Beall's penchant for a bit of irony, the Rowing Blazers version features the logo of Pierce & Pierce and the legend 'Mergers and Acquisitions' for the fictional brokerage house that employs Patrick Bateman in American Psycho. 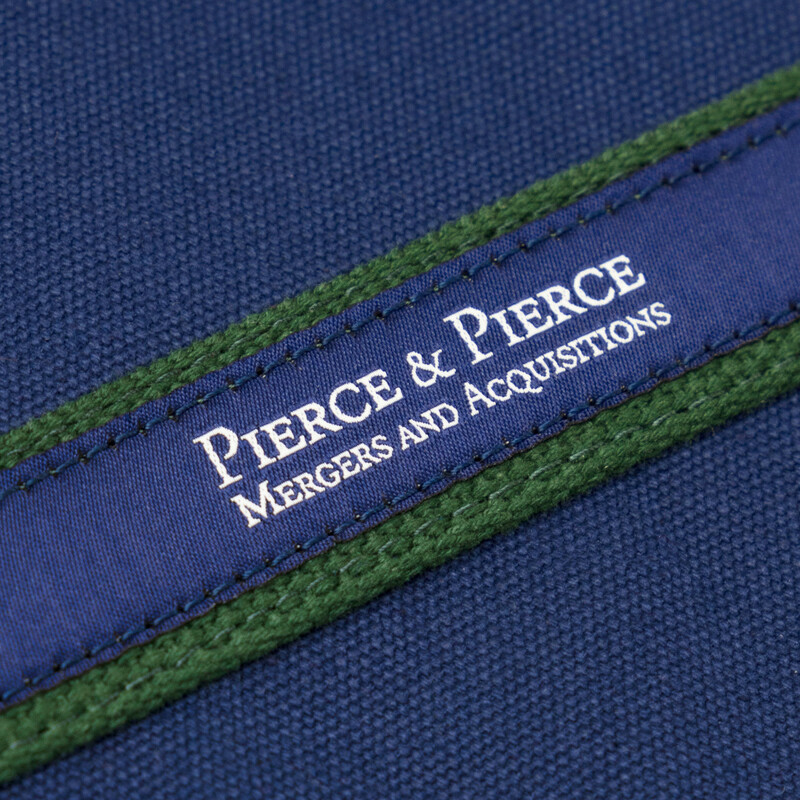 It's produced in collaboration with Warden Brooks, the company that's been making the authentic Wall Steet Duffle for clients like Goldman, Merrill, and the New York Stock Exchange since 1978. Handcrafted in Connecticut from 18 oz. 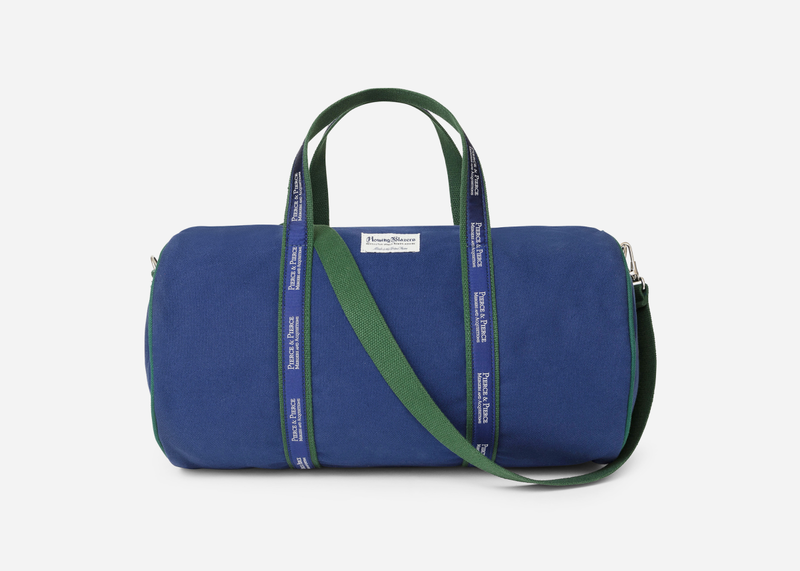 canvas and available here for just $135, it's "the perfect bag for returning lots of videotapes," Rowing Blazers notes, in true '80s style.